As early as 2011, a survey by the ICR "Recruiting Controlling Report" revealed that 90% of the companies surveyed consider the measurement of success in recruiting and employer branding as important or very important. However, just under 55% stated that they did not use KPIs in their performance measurement. These 2011 results are consistent with our latest polls (June 2017). In our poll, 45% of the companies surveyed said they did not utilize any key figures. But why are the desire and reality so far apart? Currently, a major problem is the effort it takes to collect key metrics. In our experience, it is often the case that recruiting reports are only collected once a year due to the time constraints of the HR department. Although this will allow you to make a comparison with the previous year, it is already too late to influence the short term results of current openings. 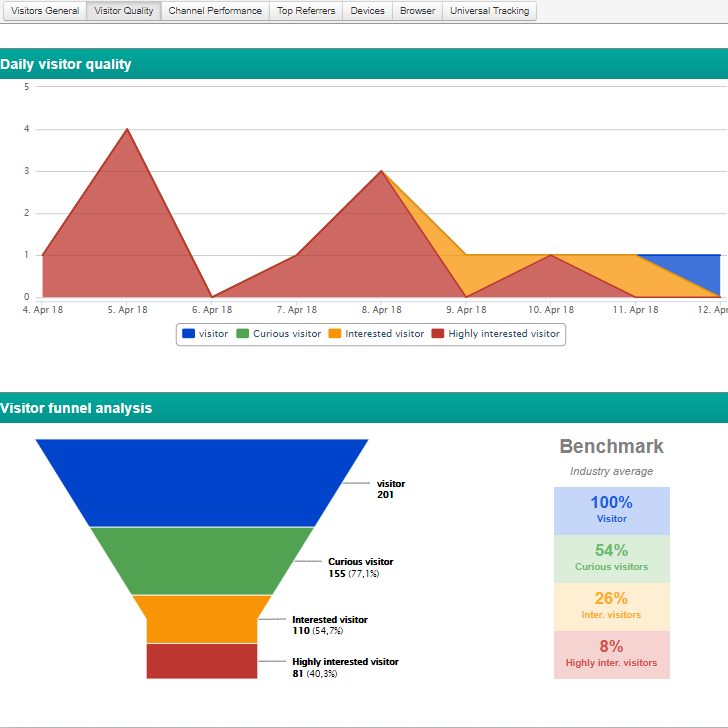 Why are daily updated KPIs so important? You should always be able to see the most important key figures at a glance regarding your current open positions. It may be good to know how many applications you received retrospectively in the year, but this won't help you with your current openings. In order to keep track of your complete process and running costs, you should have all the global KPIs in HR Management at a glance. With those metrics, you can quickly detect any serious deviations compared to last year. In addition to the global KPIs, daily updated key metrics are particularly relevant when it comes to managing and optimizing campaigns. To understand when a job posting is about to fail, you need campaign-level KPIs. For example, these KPIs provide insight into where candidates are leaving your posting, which helps you to initiate optimization measures in the right place. Or, for example, you may find that you are currently receiving traffic from the wrong region on your job ads and therefore no one is applying, etc. There are a variety of factors that cause not enough or the wrong candidates to appear on your job application page. To begin the appropriate optimization measures, you need up-to-the-minute KPIs. With that information, you can act fast and no longer invest time and money in the wrong or incorrectly managed actions. How and why is software the answer? The time of the troublesome key figures survey is already over. Recruiting software, like Talention, simply collects data and key figures in the background and prepares them in clear reports and dashboards for you. What does that look like in software like Talention? All data from your recruitment will be collected in a clear dashboard. In campaign management, you can go deeper into the evaluation of individual measures. 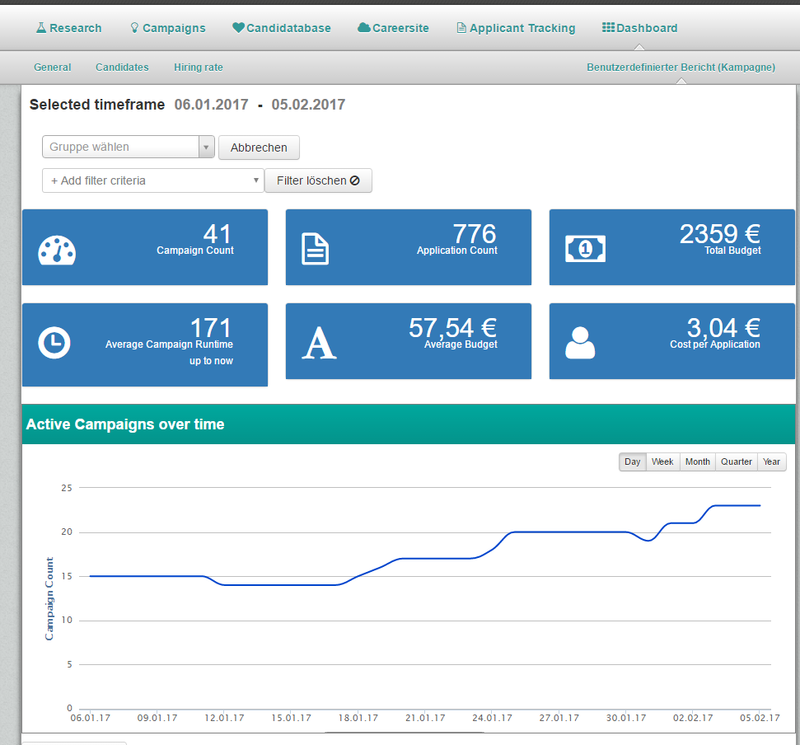 Here you can see the appropriate KPIs for each campaign you have placed. You will get an overview of how much you've set as the total budget per campaign and how much you've spent on it. 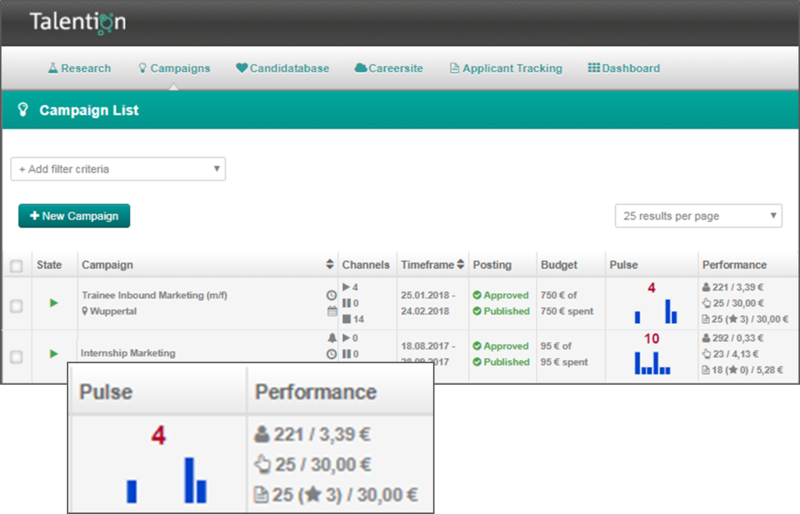 You will also see how many people clicked on your job advertisement (in the example: 221), how many clicked on the candidate button (25), how many applications were received (25) and how many of them were qualitative (3). Next you can go a step further into the analysis of the individual measures, if you are not yet satisfied with these KPIs. Here, you can analyze the flow of visitors on a daily basis or see the origin of your visitor stream. In addition to these dashboards and KPI's shown, there are a variety of other tracking options that software can analyze, without any further effort from you. Would you like to see how the Talention dashboards look live and how Talention's software can support you today? 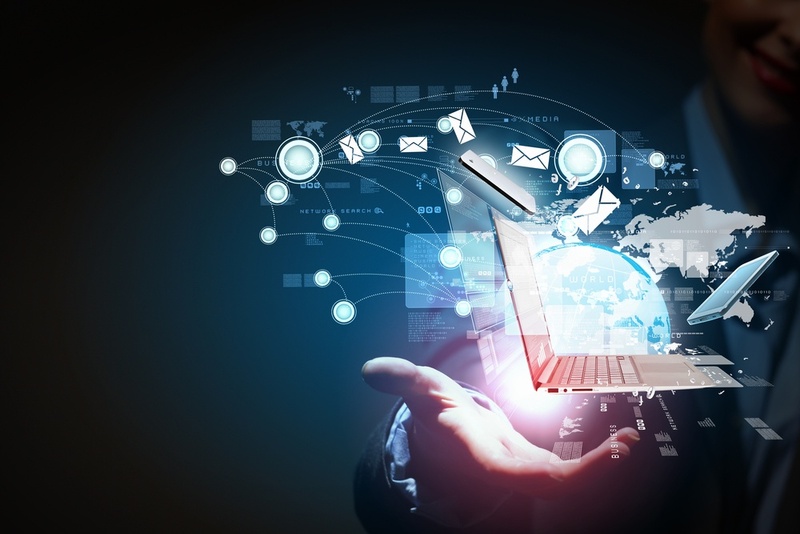 We are happy to show you with examples from your industry in a free demo.